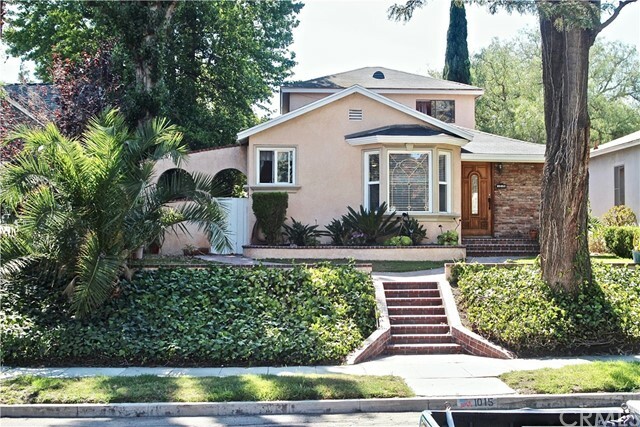 Located on one of old torrance’s premiere tree lined streets this 3+ bedroom & 3+ bath home plus separate bonus room with full bath has lots of character. An open remodeled kitchen with granite sits adjacent to a living room & dining area lit up by morning sunshine. Two downstairs bedrooms share a full bath while the master suite is upstairs with a walk in closet, office area with built in cabinets, ensuite and large balcony overlooking the garden. 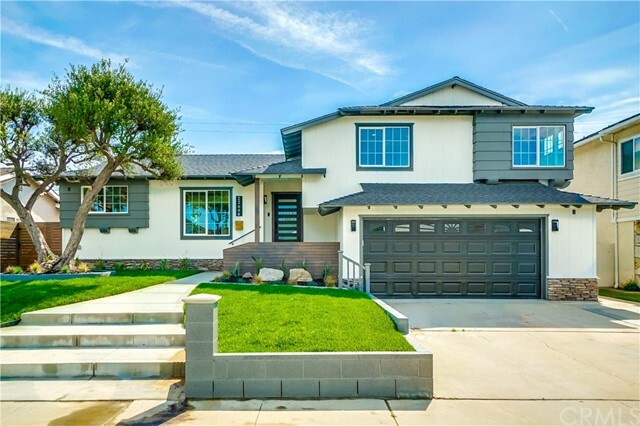 This master is perfect for the buyer who works from home. This home offers an interior laundry room, vinyl windows, built in cabinetry, wood floors downstairs, and tile flooring in family room & bathrooms. The extra large family room has high ceilings, a built-in bar, powder room, fireplace and a sliding patio door that leads to the backyard. Step outside to a garden with fruit trees, a bbq area and brick lined courtyard that can host a bbq or intimate gathering. Located to the rear of the property and adjacent to the detached two car garage is an additional 600 sq ft room and bathroom. 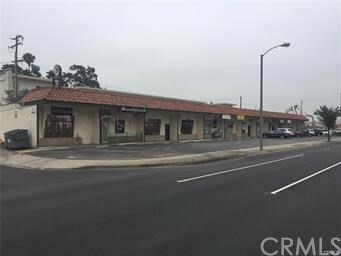 Close to the newly remodeled del amo mall, shops, dining and transportation. 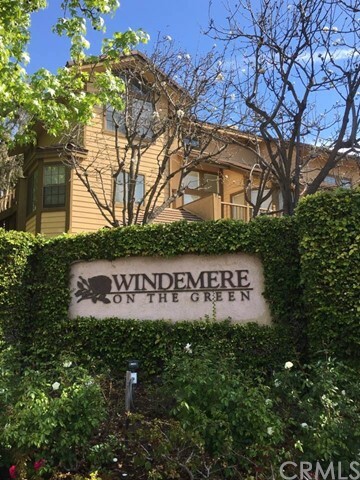 Highly acclaimed torrance unified schools, wilson park and farmers market are nearby. 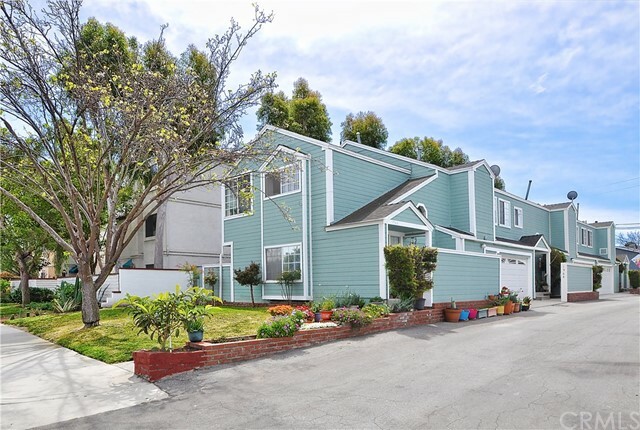 Welcome home to this beautiful 3 bedroom "old torrance" townhome! 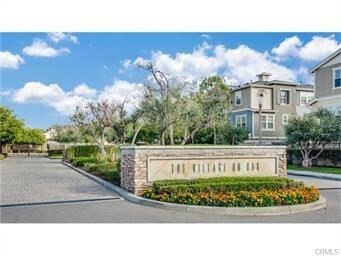 Walking distance to torrance park, charles wilson park, farmers market, and award winning torrance schools! This middle unit features an open floor plan, wood floors, dining area, wet bar, cook's kitchen with ceramic tile counters, sold wood cabinets, stainless steel sink with custom faucet. Stainless steel appliances including gas range/oven, dishwasher, and microwave oven. There is an inside laundry room. Downstairs half bath with ceramic tile floors. Hardwood stairs and handrail. The spacious bedrooms and bonus room are all upstairs! Master bedroom suite with custom master bath. Full spa tub, custom shower with decorative tile. Ceramic tile flooring. Walk-in closet. Custom hallway full bath with custom tile at tub/shower. Ceramic tile floor. Gas central heating system. Central air-conditioning. Full sized 2 car garage with direct access. Sectional garage door with auto opener with remote. Lots of storage in home and garage. Private side yard area. Upgraded features include recessed lighting, custom ceiling fans, and central vacuum system! 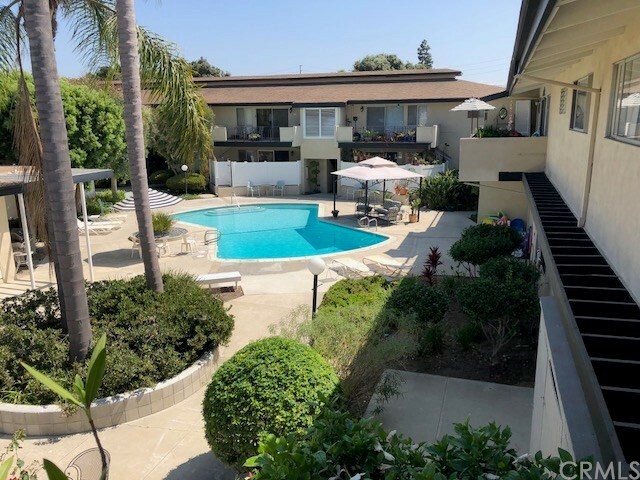 Close to shopping, restaurants, beaches, freeways, and employment centers! Priced to sell!